Gregory L. Blackstock is autistic and an artistic savant. 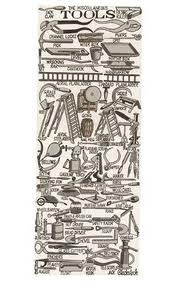 He creates visual lists of everything from wasps to hats to emergency vehicles to noisemakers. His art is stirring in its detail and inspiring in its simple beauty. Blackstock was a pot washer for twenty-five years and supplemented his income by playing the accordion on street corners. 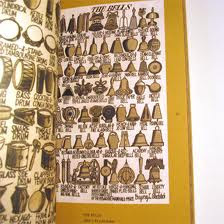 He began making pictorial lists at age forty and had his first gallery exhibition in 2004. 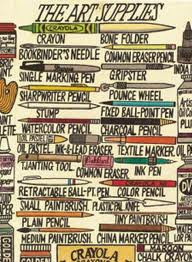 This is one book I have enjoyed picking up at different times and enjoyed reading the lists and studying the drawings. Highly educational with a touch of whimsy. 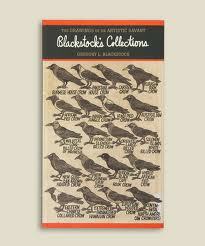 These drawings had to have taken a lot of research and I imagine Mr. Blackstock is a very smart man. I have definitely learned from him.